I can't really think of any Disney movies that I haven't loved. But The Jungle Book holds a very special place in my heart. Released in 1967, I was ten years old, and it was the very first movie I had ever seen in a movie theater. We were there to celebrate my best friend's birthday, and the day was completely wonderful. So I'm super excited that Walmart is releasing The Jungle Book Blu-Ray Combo Pack Diamond Edition, and now I can share it with my grandchildren. I'm sure they will love this movie as much as I do. 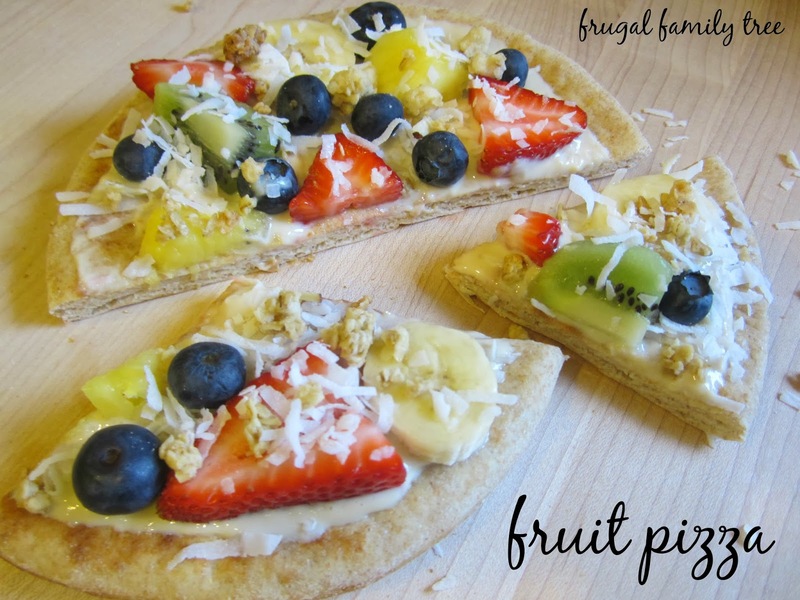 And to celebrate it's upcoming release, I thought it would be fun to make yummy, #JungleFresh inspired fruit pizzas. These are healthy, quick to make, and so delicious. When I went shopping at Walmart for the fruit and other ingredients I needed to make the fruit pizzas, I saw this ad for the release of The Jungle Book, available for sale there on February 11th. Walmart is the only place where you can receive a free Jungle Book Lunch Box with the purchase of the Diamond Edition. 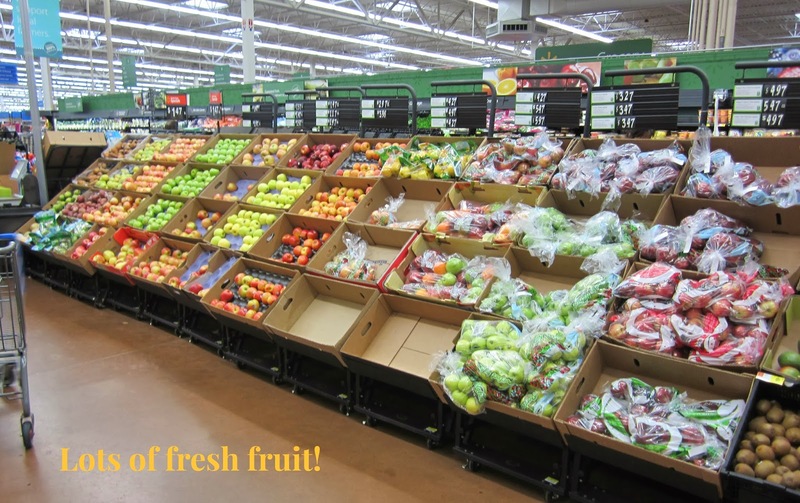 I love that Walmart has such a big selection of fruits and veggies. My family and I eat lots of both, and I'm happy that my grandchildren love fruit, and ask for it often for their snacks. I knew they would love eating and making the fruit pizzas. They are also a great snack for me, and we can personalize them with our very own favorite kinds of fruit. I gathered up the ingredients we needed for making the pizzas. I used healthy whole grain pita pockets instead of pizza dough, and they were the perfect size. 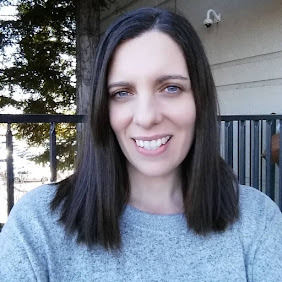 I made an easy yogurt based dip to spread on top of the pita pockets. Blueberries are a staple at our house because they are so amazingly healthy for you, and they taste great, too. 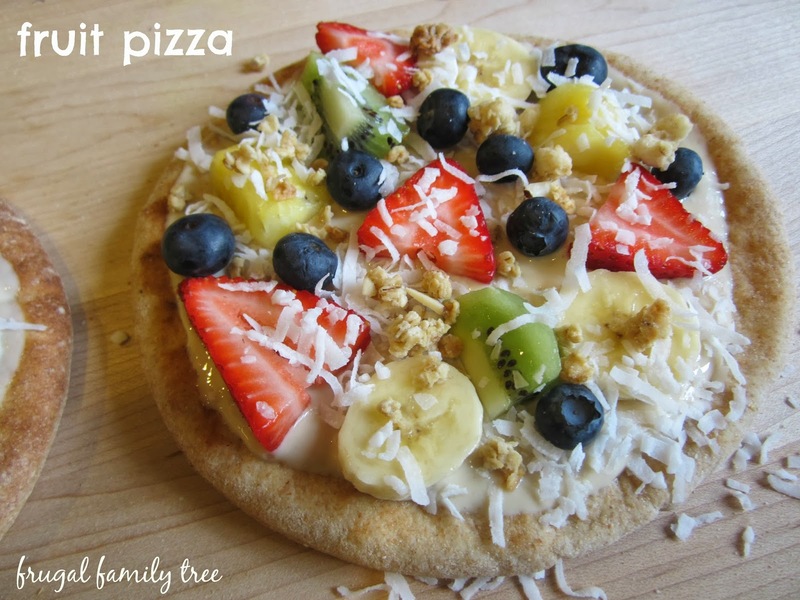 Bananas, strawberries, pineapple, and kiwi were the other fruits we used, but of course you can customize your fruit pizza with your own favorite kinds of fruit. Shredded coconut and granola are what we used to sprinkle on top. Just whisk together the yogurt, honey, and brown sugar until smooth. It smells so good!! Them with a spoon, spread a medium layer of the fruit dip on the pita bread. Add your already washed and cut pieces of fruit, as much as you like, and top with coconut and granola. This is just like making regular pizzas, but with fruit. And these fruit pizzas are so good and healthy for you. The kids love them, and it's always fun for them to help in the kitchen. 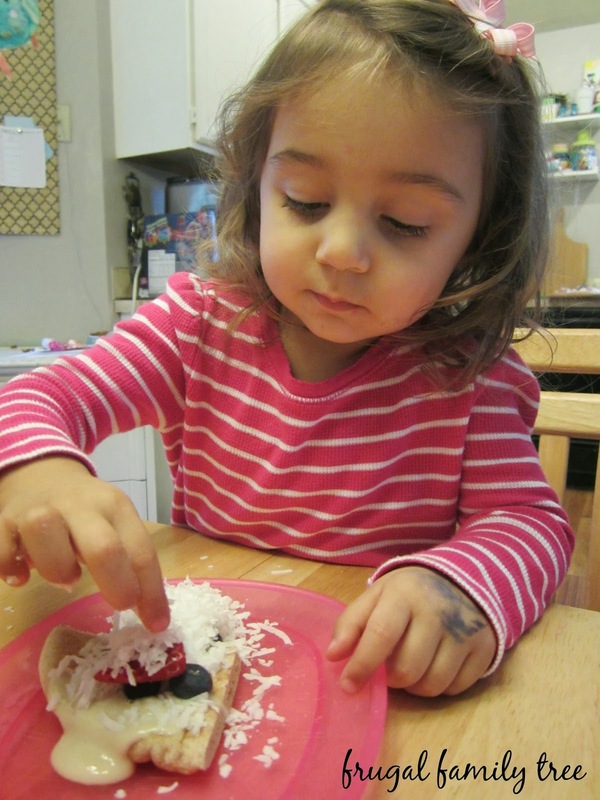 My granddaughter Ashley was happy to be given free rein to make her own pizza, and she used her favorites, blueberries, strawberries, and tons of coconut. I can't wait to share The Jungle Book with her and her brothers, I know we will have fun watching it together. We will add it to our beloved Disney movie collection that just keeps growing. 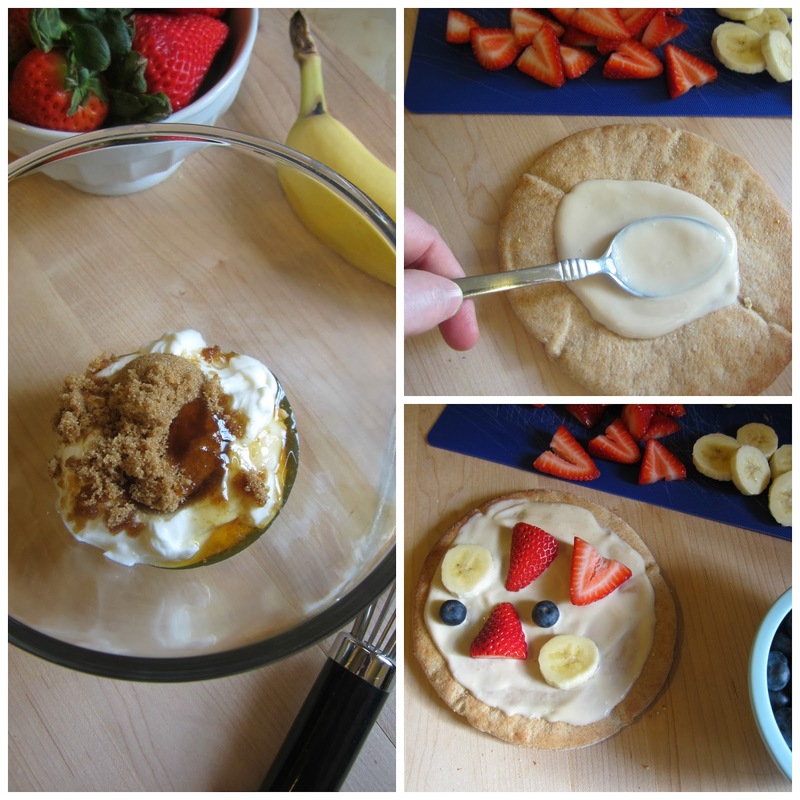 To make fruit dip, mix Greek yogurt, honey and brown sugar in a bowl, and whisk until smooth. Spread dip evenly over pita pocket with a spoon. Cover pita pocket with assorted fruit. Sprinkle with coconut and granola. Cut into wedges. The Jungle book bring back so many of my earliest childhood memories and also holds a dear place in my heart. I also love the pizza style healthy snacks and will definitely have to try this at home in the near future. Fun recipe! My kids would love these!! 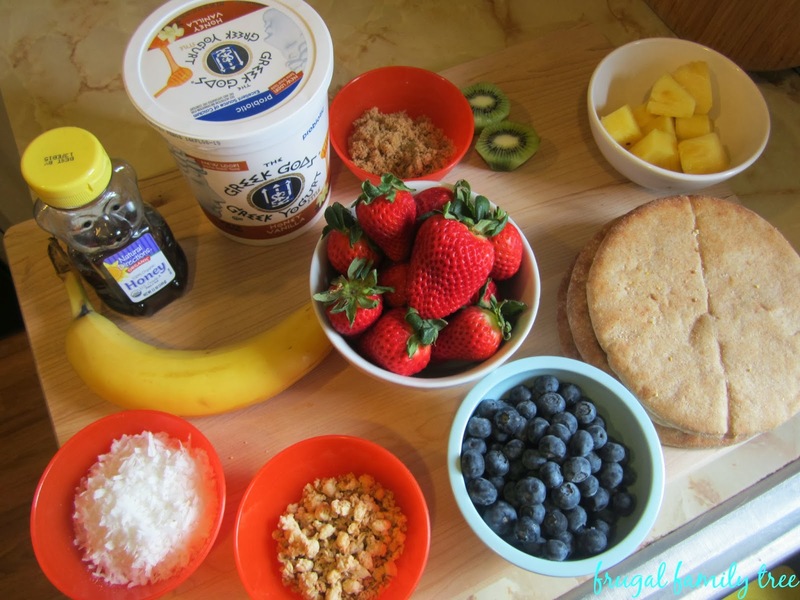 We love fruit pizza and making it on a pita is a brilliant idea. I'm going to try this one with my little guy!